Your aging CPI program have you worried? Could Hybrid CPI be the answer? The largest asset that a lender has is their loan portfolio. In order to mitigate the risk caused by uninsured collateral, lenders have several options to choose from in loan risk management programs. Not all programs are the same, so, your financial institution needs to carefully review the program which best fits your needs, considering the collateral being financed, the make-up of the loan portfolio, and the amount of risk your team is willing to assume. Collateral Protection Insurance (CPI) is an essential loan risk management program that serves to protect the lender’s interest in the collateral, primarily automobiles, being financed by borrowers. When the consumer purchases a vehicle and finances it with a lender, one of the terms of the loan agreement requires that the borrower maintain physical damage insurance coverage throughout the duration of the loan. 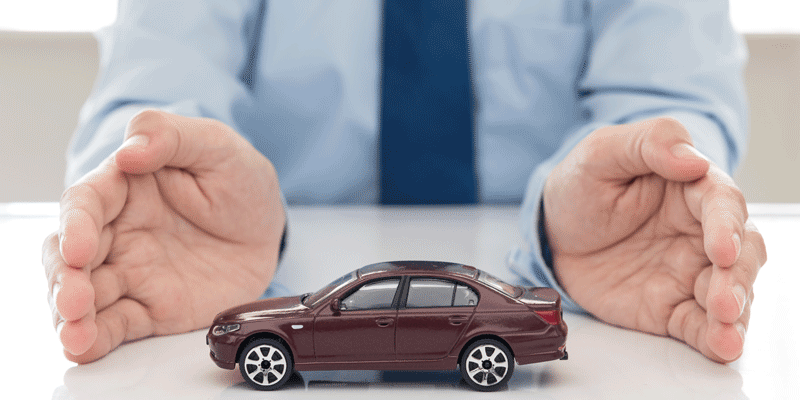 For most borrowers, one of the first things they do after purchasing a new vehicle is to notify their insurance carrier, select the necessary insurance coverages and add the Lienholder to the policy. Once the Lienholder information is updated on the insurance policy, a copy of the policy is forwarded to the Lienholder by the borrower’s insurance company. In order to manage a lender’s uninsured risk properly, a CPI program must include an accurate insurance tracking system, effective borrower communication, simplified administration and low-cost insurance to protect the collateral without contributing to an increase in repossessions for the lender. To achieve this delicate balance of managing the uninsured risk without placing burdensome CPI premium onto the borrower’s loan, the price point for the insurance coverage should be as low as possible. To reduce the price of the insurance, without sacrificing any of the coverage to protect the collateral, practices such as paying a commission to the lender and offering certain lender coverages should be eliminated. This approach was taken by SWBC six years ago when we designed our revolutionary Hybrid CPI program. In creating the Hybrid CPI program, we focused on the changes that occurred in the mortgage Lender Placed Insurance (LPI) realm and incorporated some of those changes into our Hybrid program. As a result, our Hybrid program provides a low-cost, monthly premium, while offering the same physical damage insurance coverage as offered by the traditional CPI program. Our Hybrid CPI program eliminated the practice of paying the lender a commission on the premium generated by the program. Additionally, only a few limited lender coverages are offered, which are billed directly to the lender. Since the Hybrid premium is lower than the traditional CPI, there are fewer complaints from struggling borrowers and it is less of a contributory factor to delinquency or repossession. 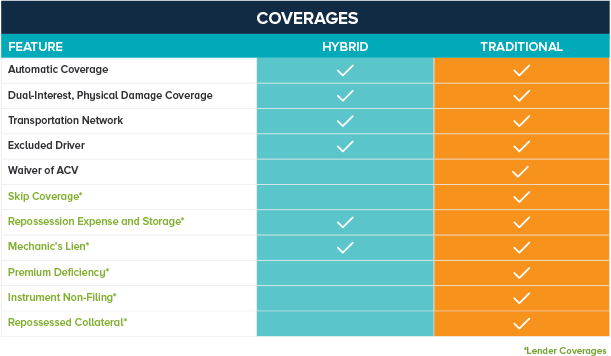 Also, since the Hybrid premium is billed monthly, there is less administrative work required by the lender because there is reduced refund activity when the borrower eventually obtains their own insurance coverage. Finally, with the Hybrid program there is more frequent communication with the borrower. This is in an effort to raise awareness of their responsibility to maintain insurance coverage, while their vehicle is being financed. So, when you are comparing which loan risk management option works best for your financial institution, consider our simplified, low-cost Hybrid CPI solution. Click here to learn more about our hybrid solution.